On the 40th anniversary since the release of the first Clash album in 1977, “London Calling” a musical with music by The Clash and book by Peggy Lewis will premiere at The Hudson Theatre during the Hollywood Fringe festival in June. 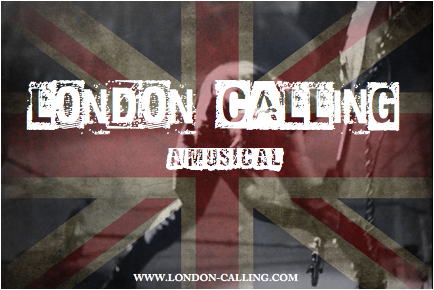 London Calling is a gritty musical inspired by music of The Clash based on the events of our lives and others, and a youth spent playing in bands, living in squats and pursuing dreams, in Holland and Canada. The Clash’s impact on a generation can not be disputed, and their music continues to influence and inspire.